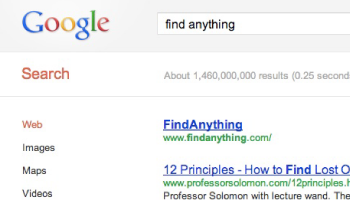 Power Searching with Google – A short course on becoming a great internet searcher. Interactive activities to practice new skills. Opportunities to connect with others using Google Groups, Google+, and Hangouts on Air. Upon passing the post-course assessment, a printable Certificate of Completion will be emailed to you. Registration is open from June 26, 2012 to July 16, 2012. We recommend that you register before the first class is released on July 10, 2012! New classes will become available Tuesday, Wednesday, and Thursday starting on July 10, 2012 and ending on July 19, 2012. Course-related activities will end on July 23, 2012.